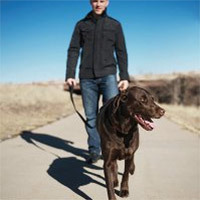 Regular exercise is one of the main pre-requisites for health, longevity, and happiness for humans and house pets alike. Regular exercise is one of the main pre-requisites for health, longevity, and happiness for humans and house pets alike. 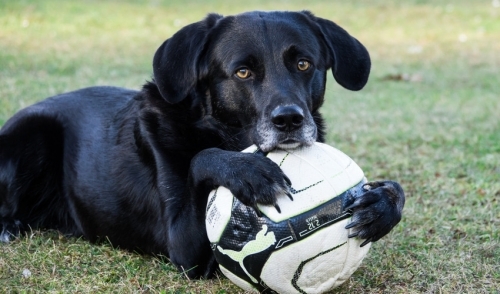 There are boundless opportunities to enjoy quality time with your furry friend in the great outdoors while maximizing the accompanied health benefits. Partaking in outdoorsy activities with your pets will also keep them happy, relaxed, and most importantly, obedient. The runner’s high phenomenon – the calm, positive feeling experienced after prolonged exercise – is not exclusive to humans. The same neurochemical, serotonin, is released in dogs and other mammals following aerobic exercise. This natural chemical burst will keep your pets well behaved and entertained during the day and soundly asleep at night. Following these simple suggestions will keep you and your dog happy, healthy, and thirsting for adventure. Start off slow when hitting the outdoors with your dog. A simple game of fetch with a doggy toy or stick for a half an hour in the backyard or park will suffice for a puppy or untrained dog. Move around with your dog and make it a mutual activity so that your dog stays entertained and you stay invested in the activity. A little enthusiasm will go a long way with your pup. If you’re unable to be mobile with your dog, schedule a trip to a local doggy park. Although this may be a small feat in human world, the doggy park is the penultimate venue for dogs, and the epicenter of doggy excitement. Simply spectating your dog interact with other dogs will be utterly enjoyable as a bystander. Before setting out to the dog park, make sure that you strictly follow the necessary etiquette. Firstly, make sure that your dog is well behaved enough to be around plenty of other excited and eager pups. Take caution in bringing a dog with anxiety or other social issues that would prevent positive encounters with other dogs. Moreover, make sure that your dog is up to date on vaccinations just in case an altercation occurs with another dog. Err on the side of caution here since you can’t control how other dogs may act within the doggy park. You can always find another park or green space if you’re worried that other dogs are simply being too aggressive. Finally, clean up all of your dog’s messes and dispose of them properly. Your outdoor excursions with your pup don’t have to be confined to your neighborhood and local dog parks, however. Hiking is a fantastic way to explore scenic areas and simultaneously share some great exercise with your pup. Keep your dog on a leash at all times, especially in wilderness areas where a wild animal could provoke some unwanted excitement. Make sure to bring extra water and treats for your dog and take breaks when necessary. You may be in better shape then your dog, but the last thing you’re going to want to do is carry them back to the parking lot. Lastly, consider swimming as a healthy, low-impact activity for your dog. Keep swimming to local ponds, creeks, or pools, while avoiding the ocean at all costs. Rip tides, oceanic predators, and a whole host of other risks could compromise your dog’s safety at the beach. Stick to a game of fetch with a tennis ball in the sand instead. Enjoying outdoor activities with your pup is a great way to establish a healthy, long-lasting bond with your beloved pet. Whichever activity you choose, know that you’re investing time in your pet’s happiness, healthy, and longevity for the future.